DRINC’s business model is unique in that the company only proposes to forge business relationships with those that develop innovative, cutting edge, and high quality products and a viable long-term relationship. The competitive advantages for company and client are mutually exclusive to protect the interests of the other in how each product (alcohol and package) are presented to the consumer and the marketplace on the whole. Quality, craftsmanship, and service are the edges by which DRINC cuts through the competitors on a global scale. 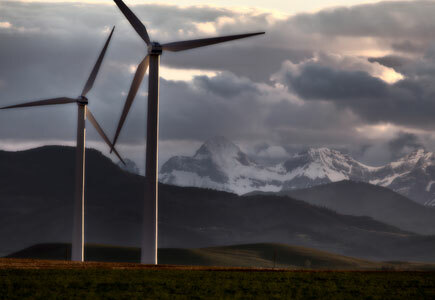 Starting on June 1, 2007, Distilled Resources, Inc. (DRINC) has partnered with Rocky Mountain Power Company and their “Blue Sky” renewable energy program to supply DRINC with no less than 25% of their monthly electrical consumption from wind generated power. This renewable energy resource is generated locally at the foothills of the eastern edge of the Snake River Plain and Utah. DRINC’s support of this energy comes with higher costs, but the company does so in an effort to support renewable energy as well as continue to move its energy needs towards an environmentally friendly business operation as well as supporting the marketable attributes of the environmentally conscious certified organic as well as non-organic products that it distills and bottles. As a “Visionary” Blue Sky partner DRINC is supporting the highest level of renewable energy available through Rocky Mountain Power. Click here for Rocky Mountain Power’s list of companies that support this renewable energy.